Waiting in line, pondering what food you will order, then second-guessing yourself while talking to the cashier is not a problem anymore if you’re the shy type. 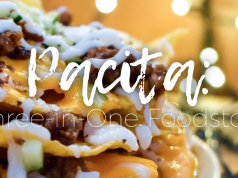 Introverts can rejoice, as automated food ordering is now available in the Philippines, and it’s fun, fresh and fast. 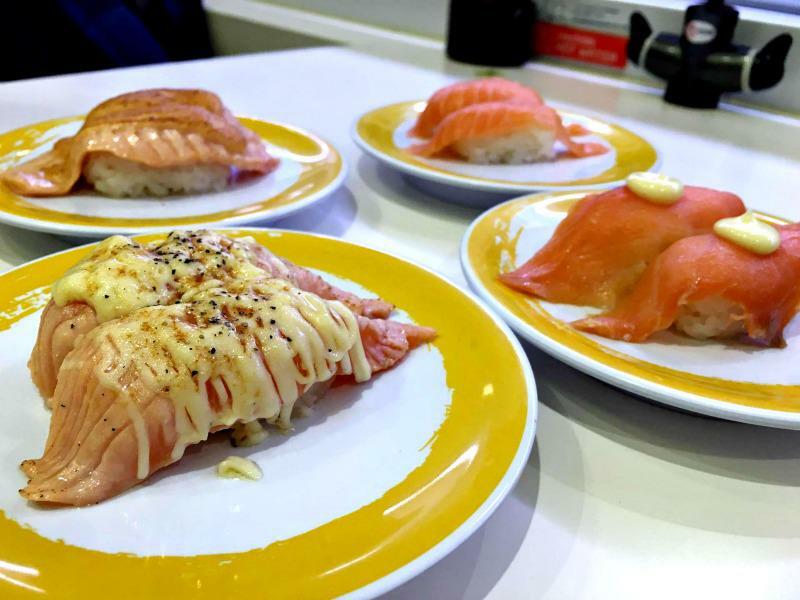 Today, we take a look at Genki Sushi located in Bonifacio Global City. 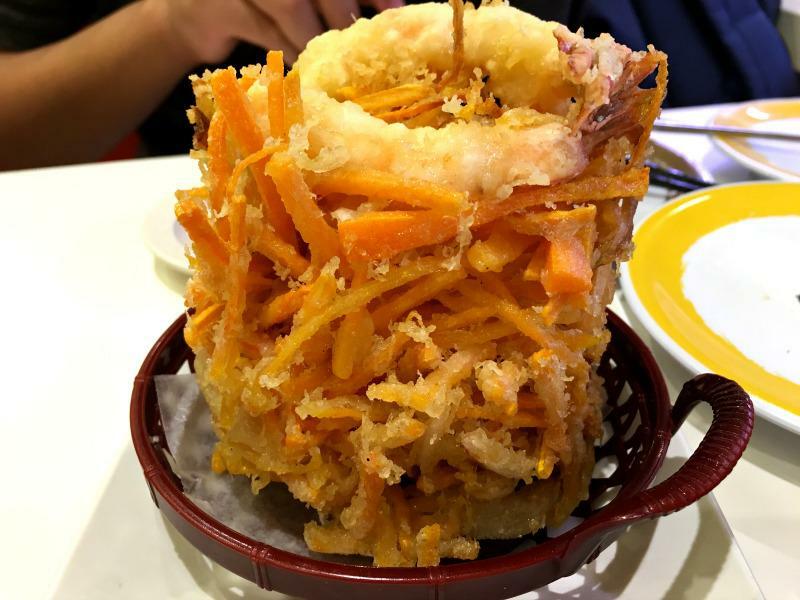 Fighting for attention in the highly competitive Japanese resto market in Manila, Genki Sushi was franchised by the Mother Spice Food Corporation from Japan, and is also located in USA and Singapore. 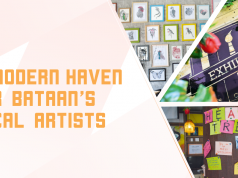 The Bonifacio Stop Over branch located at Bonifacio Global City is the first branch in the country, though they do plan to construct two more branches around the metro within the year. Their logo, a boy with a mad face, has a story of its own. 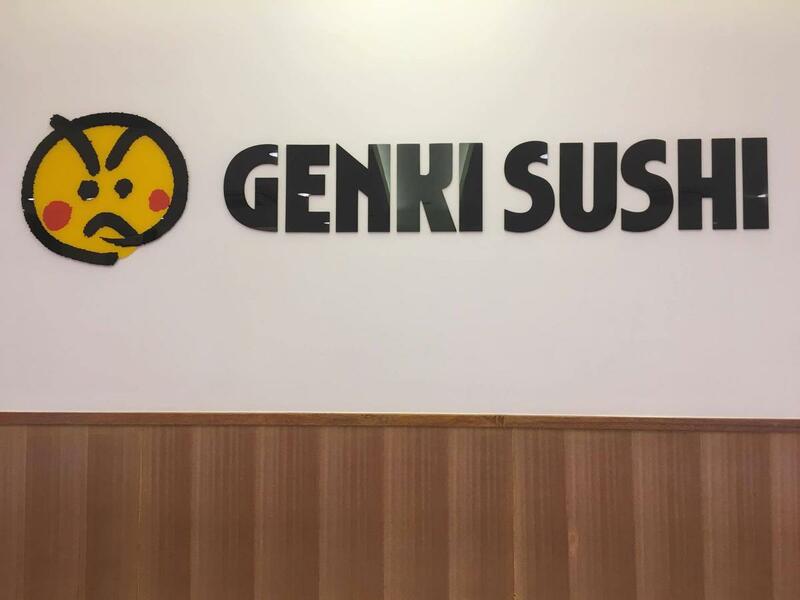 It came to life when the creator of Genki Sushi saw a boy in a restaurant, looking very upset at the experience. From there, the whole Genki Sushi concept was built. 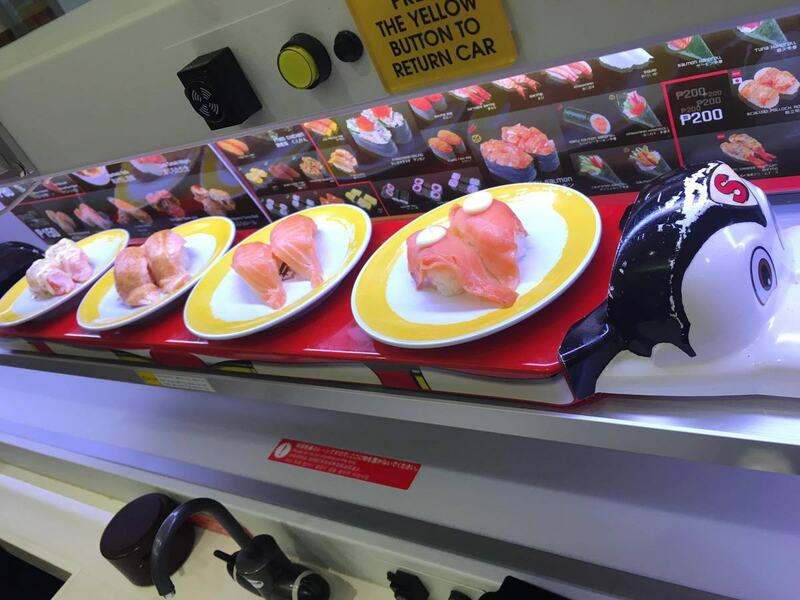 Kids will enjoy Genki Sushi because of its unique concept of a “bullet train” delivering your food on its own set of tracks. The ordering process is enjoyable too. 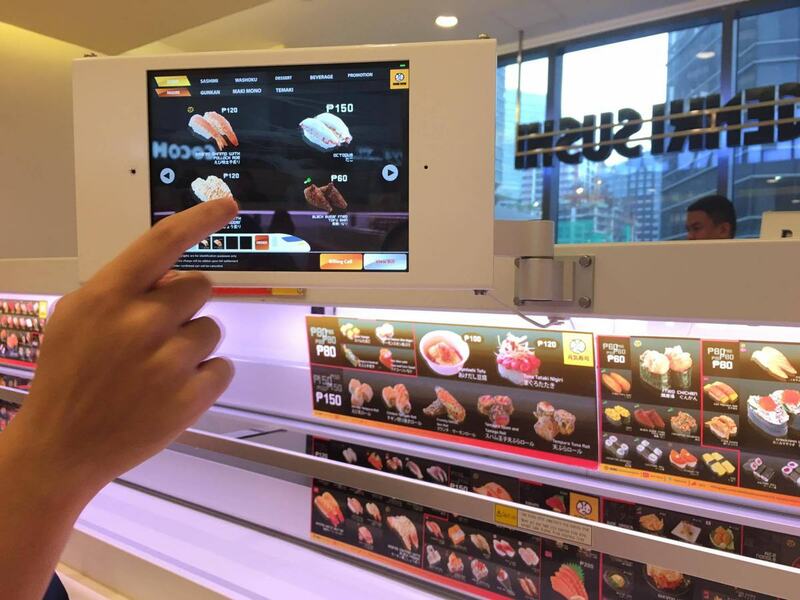 Tablets are available at each table and serve to both show you what’s on the menu, and take your order. With just one click and a short wait, your food will just slide out and stop in front of you, and yes it’s as fun as it sounds. What differentiates Genki Sushi from other restaurants that also offer a similar experience is that Genki Sushi’s food is made to order. This is assures the customer that the food they’re having was freshly prepared. If you’re excited to try Genki out, you might want to get there early, as the lines do get long quickly. Selling point: Trains that deliver your food! 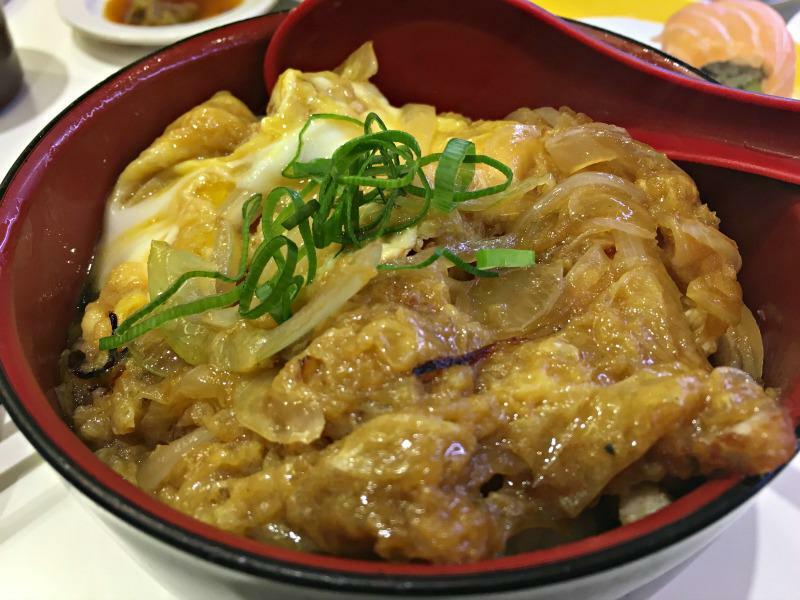 Experience: We visited Genki Sushi at Bonifacio Global City. Upon entering the restaurant, you’ll notice its simple interior, and plain color scheme that are pleasing to the eyes. 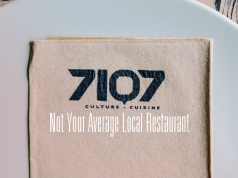 Do not be fooled by the simplicity of this establishment because although it may seem simple, their food definitely lived up to the hype. The staff were very accommodating. We were immediately served their bestsellers. And boy, they sure know how to treat reviewers like me (wink). 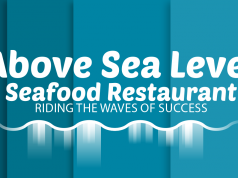 First, we were served different kinds of sushi: egg pollock roll, crab salad, Norwegian fresh salmon, fresh tuna, smoked salmon, seared salmon with black pepper, their own Genki roll, and horse mackerel. I am a big fan of Japanese food and I’ve tried my fair share of restaurants already, but this is my first time to try seared salmon with black pepper sushi, and I tell you it is superb! As with their salmon, the tuna melts in your mouth and it is just heavenly. Both were fresh and left no doubt as to their quality, though you might want to go easy on the horse mackerel sushi since it has a strong flavor. Serving sizes aren’t the largest, but each one is heavy, and it won’t take a whole lot to leave you satisfied. Next, for our main course, we were offered grilled salmon belly, shrimp kakiage, chirashi don and oyako don. The grilled salmon belly was very tasty. 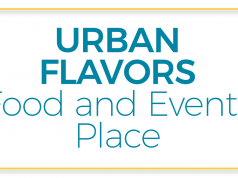 It’s buttery soft and just as flavorful. I had high hopes for the oyako don, as it is one of my favorite dishes, and it didn’t disappoint. The chicken fillet was fried but still crispy even though it is doused in special sauce that makes the dish irresistibly delicious. 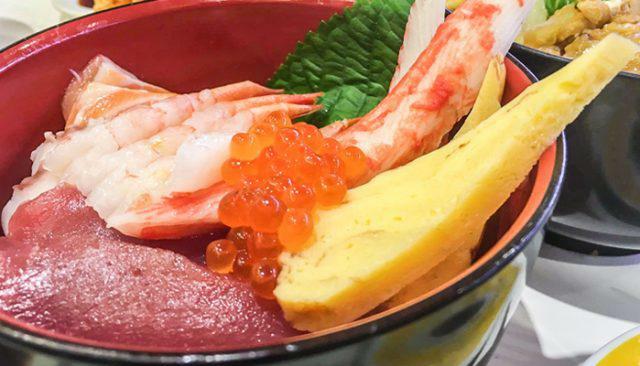 The chirashi don is like the trophy of the sea since it has shrimp, tuna, salmon, octopus, pollock roe and crabsticks. Every bite was as fresh as the last. To cap of the night, matcha-inspired desserts were served. I am so happy since I really love the distinct taste of matcha. 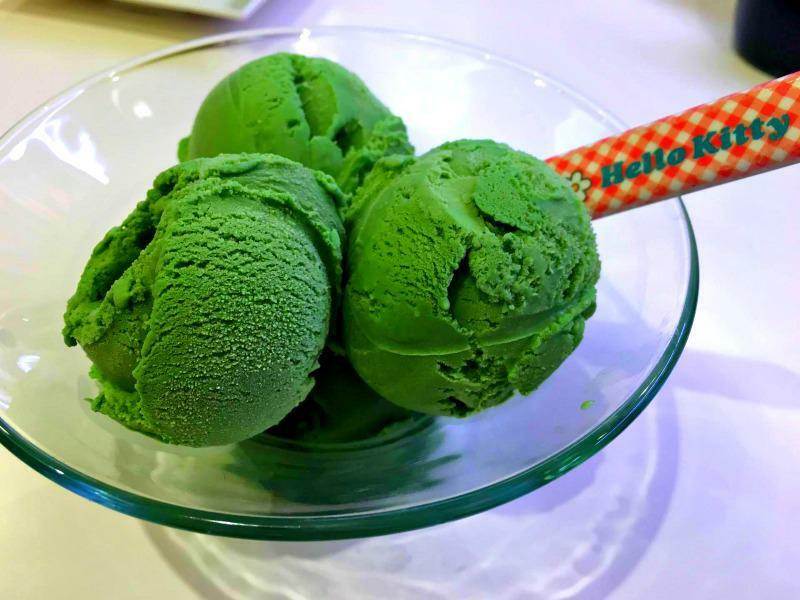 It was no surprise that their matcha ice cream and matcha cheesecake are to die for. The bitterness of the matcha complements the sour and sweet taste of the cheesecake. Lastly, their rare Japanese cheesecake is really unique and delicious since it is directly imported from Japan. I would definitely bring my child here once she is big enough to enjoy the whole concept of this restaurant. 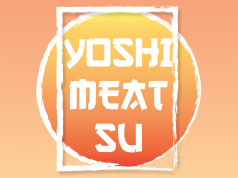 Anyone who wants to satisfy their sushi fix should definitely visit this Japanese haven. It will not disappoint. Writer’s tip: Order everything!!! You won’t regret it.